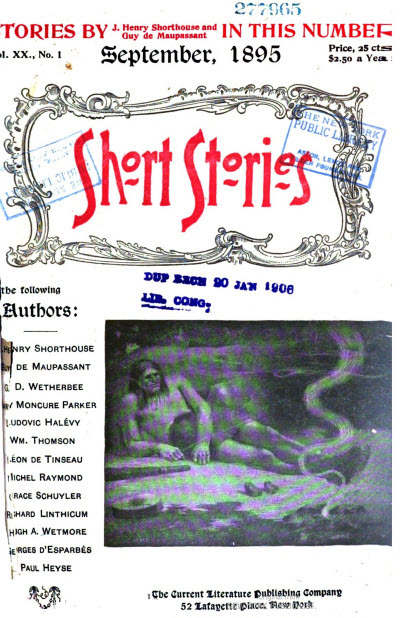 412 · The Torture by Hope · Villiers de lIsle-Adam; translated by Mary J. Safford · ss; #43 in the Famous Stories series. ; translated from the French (La Torture par lEspérance, Nouveaux Contes Cruels, La Librairie Illustrée, 1888). 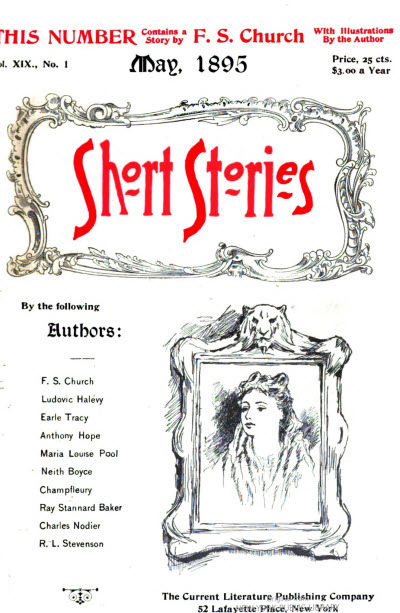 539 · The Siege of Berlin · Alphonse Daudet; translated by Edwin Francis Edgett · ss The Boston Transcript; #44 in the Famous Stories series. ; translated from the French. 45 · A Misunderstanding · Alphonse Daudet; translated by Miss Favard · ss; translated from the French. 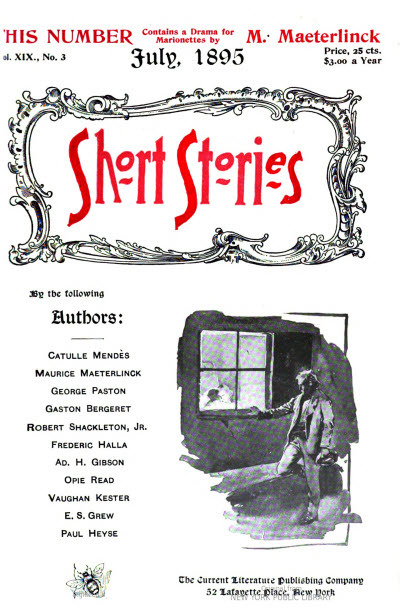 111 · A Saint in Pawn · Ernst von Wolkogen; translated by Mrs. J. M. Lancaster · ss; #45 in the Famous Stories series. 244 · The Sicilian Women · Maurus Jokai; translated by Mary Ives Cowlam · ss; #46 in the Famous Stories series. 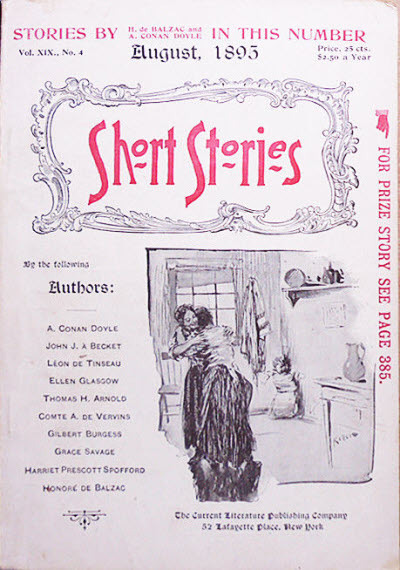 368 · A Terribly Strange Bed · Wilkie Collins · ss Household Words Apr 24 1852, uncredited; #47 in the Famous Stories series. 454 · Master Cornilles Secret · Alphonse Daudet; translated by Frances Alley Weston · ss; translated from the French. 495 · The Purloined Letter [C. Auguste Dupin] · Edgar Allan Poe · nv The Gift: a Christmas and New Years Present for 1845, Carey & Hart 1844; #48 in the Famous Stories series. from vol. 18 online at http://books.google.com/books?id=op8CAAAAYAAJ&. Details supplied by Denny Lien. 125 · Salvette and Bernadou · Alphonse Daudet; translated by Frances Alley Weston · ss; translated from the French. 293 · A Study of a Comedian · Alphonse Daudet; translated by Frances Alley Weston · ss; translated from the French. 363 · Carmela · Edmondo de Amicis; translated by J. Murray Mitchell & J. F. Carr · nv; translated from the Italian. 503 · El Verdugo · Honoré de Balzac; translated by John Van Brugh · ss; translated from the French (El Verdugo, La Mode, January 30, 1830). 144 · The Stork-Caliph · Wilhelm Hauff; translated by A. A. Entz · ss; translated from the German. 248 · A Russian Tragedy · Alexandre Dumas; translated by T. F. Williams · ss (r); translated from the French (Impressions de Voyage: en Russie). 369 · LArrabbiata · Paul Heyse; translated by Alice Wheeler Moore · ss; translated from the German. 501 · A Passion in the Desert · Honoré de Balzac · ss The Strand Magazine Feb 1891; translated from the French (Une Passion dans le Désert, 1830). 92 · The Wreck · Guy de Maupassant; translated by James Sheldon · ss; translated from the French (LÉpave). 107 · The Ghosts Revenge · Paul Heyse; translated by F. F. Putnam & A. M. Wadsworth · nv; translated from the German.